A BRASS CHARITY CONTAINER. Probably USA, 1935. With handle. 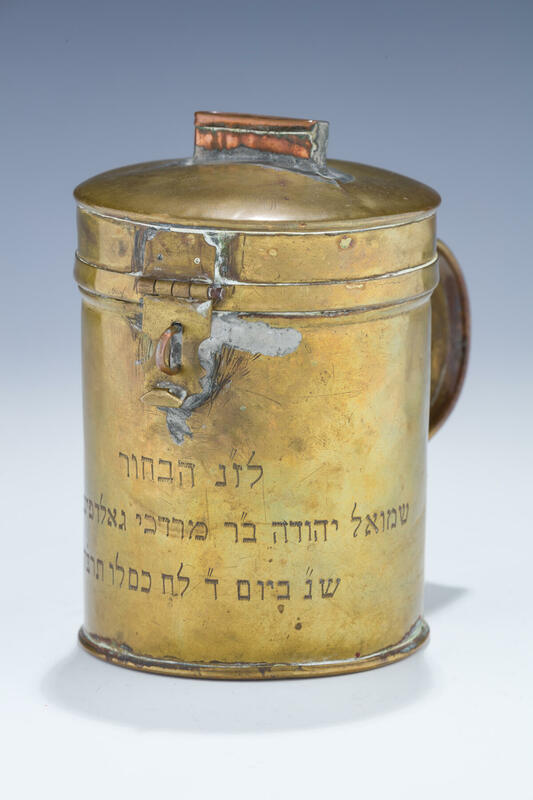 Engraved with presentation inscription “THIS WAS DONATED BY THE YOUNG MAN SHMUEL YEHUDA SON OF MORDECHAI GOLDFINGER 1935”. 4.5” tall.